Grab a glass of wine and cheers to the new year! With 2017 readily approaching, we are looking forward to the Key West Food and Wine Festival to kick-off a delicious new year. Running from January 25-29th, the 4-day festival, with 30 different events, celebrates wine and food pairings, innovative dishes, and exceptional wines to appreciate. The Marker is hosting Girls’ Night Out! This ladies-only event is perfect for any wine lover, and will be held on January 24th, from 5-7PM. Can’t make it for the Food and Wine festival? 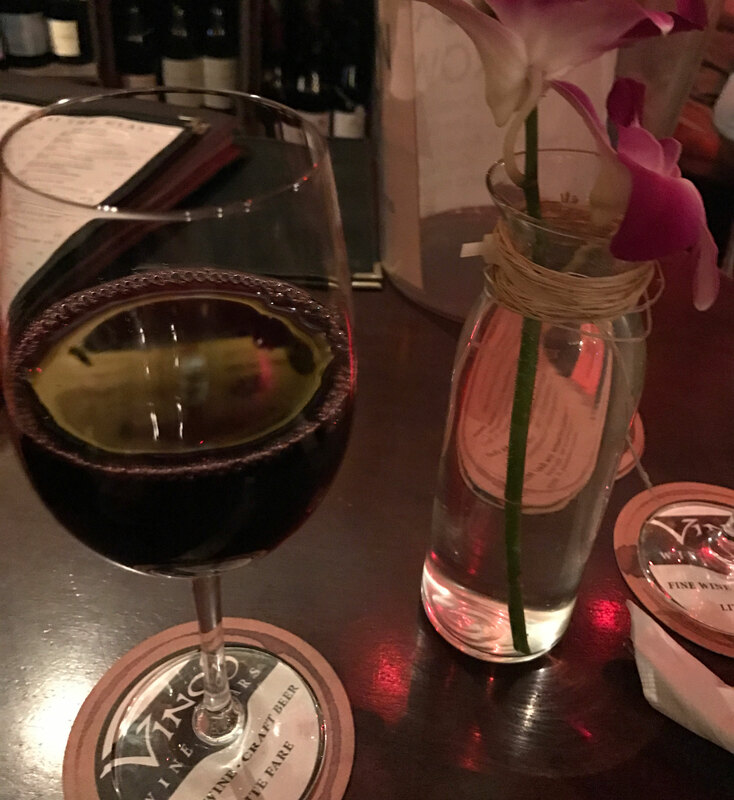 Try one of our recommended wine bars below for the perfect glass of wine in Key West! Take a night off and unwind with a glass (or a bottle!) of wine at Vinos on Duval. Their extensive menu covers flavors that every wine-lover will adore. Some of their wine list highlights include vintage Champagnes, perfect for a celebratory night, or trendy prosecco for a sparkling, Instagram-worthy drink! Make sure to take advantage of their airy porch to relax and people watch the masses on Duval street. We recommend keeping an eye on their various wine tasting and trivia night events for a great local experience. Offering a globally enriched wine list, Uva Wine Shoppe is a go-to for the well-traveled wine lover. Their selection is comprised of small batch, limited production, estate-grown wines, leaving you to sample some truly special glasses. Pair your wine with their delectable European cheese and meat board. If you don’t finish they will happily package it up to take back to your room at The Marker for a late-night snack! Ever since its opening in 1997, family-owned Grand Vin has offered a wide-ranging collection of wines. The best part? You can buy a bottle and enjoy it on their front porch and watch the buzz of Duval Street from above. Make sure to follow along on their Facebook page—they offer weekly tasting events and holiday events! The moment you step into Key West Winery, you can sense the southernmost city’s energy. The tropical painted walls exude the energy of the keys, while the brightly colored awnings and décor will make you feel right at home. Key West Winery offers 43 different premium tropical fruit wines, made entirely from the fruit listed on the wine’s label. Any fruit you can imagine has been transformed into delicious wine from Key Lime, Mango, Strawberry, to Pineapple and more! If you are still dreaming of your selections following your vacation, check out their online shop!